J. Harvie Wilkinson III is a federal judge on the United States Court of Appeals for the Fourth Circuit. 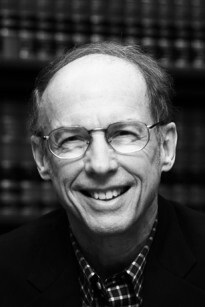 Judge Wilkinson graduated from Yale University in 1967 and received his law degree from the University of Virginia in 1972. In 1982, he became Deputy Assistant Attorney General in the Civil Rights Division of the Department of Justice. President Reagan appointed him to the United States Court of Appeals for the Fourth Circuit in August of 1984, and he was the Fourth Circuit’s chief judge from 1996-2003. He is the author of Harry Byrd and the Changing Face of Virginia Politics, 1945–1966 (1968), Serving Justice: A Supreme Court Clerk's View (1974), From Brown to Bakke: The Supreme Court and School Integration, 1954–1978 (1979), One Nation Indivisible: How Ethnic Separatism Threatens America (1997), and Cosmic Constitutional Theory: Why Americans Are Losing Their Inalienable Right to Self-Governance (2012).